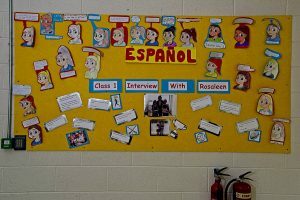 At the Teresian School, Spanish is taught as a curricular subject during school times for Students from Class 2 to Class 6, and as an afterschool activity for students from Junior Infants (Kinder A) to Class 6. Spanish is taught through a communicative approach, prioritizing the speaking and listening skills. The classes are delivered in a relaxed environment and applying positive reinforcement. 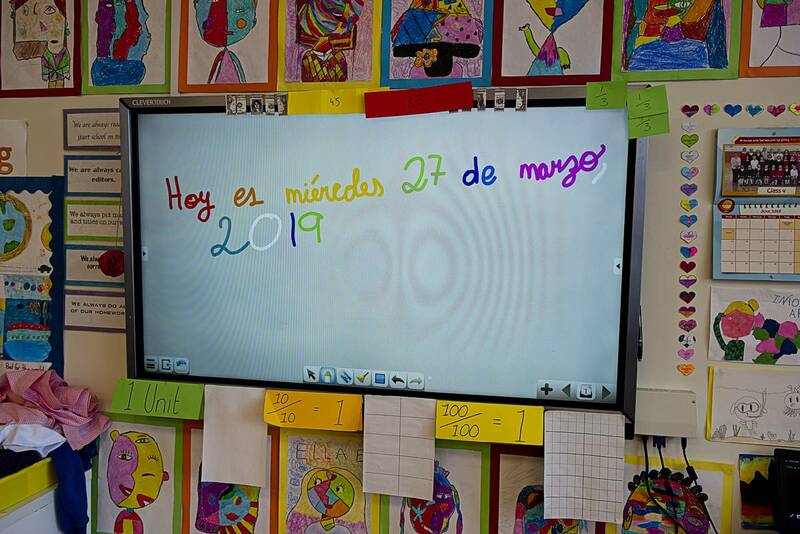 Interactive resources such as videos, songs and quizzes are used to motivate the children in order to improve fluency and to develop the oral aspect of the language. 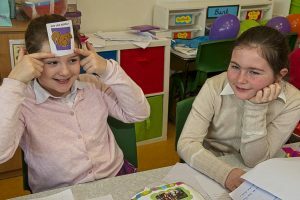 Other activities such as role plays, drama, singing and dancing, art and craft and games make the classes fun and productive. Cristina, from Córdoba, in the region of Andalucia in the south of Spain is the Spanish teacher at the Teresian School. 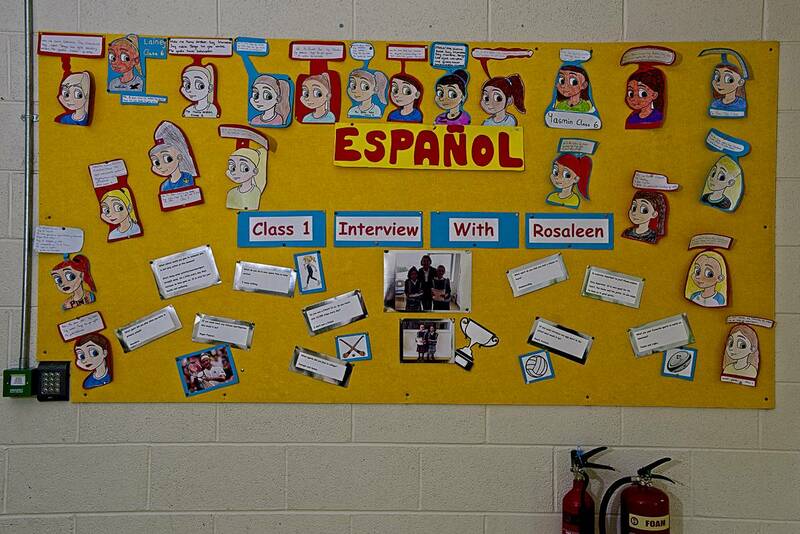 Cristina has lived in Ireland since 2006 and has been teaching at the Teresian School since 2012. In addition to teaching the language, Cristina loves teaching the kids aspects of her culture. Cristina is also the founder and director of Olé School of Languages and organiser of the language afterschool activities at the school. 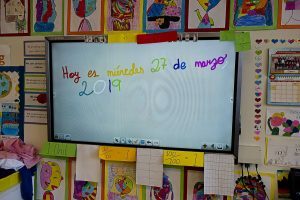 At present, students from Kinder A to Class 6 can choose to attend Spanish and French extra-curricular classes, and in the near future the school hopes to run more language classes. The students learn the language, and begin to understand and appreciate another culture, while boosting their confidence by doing lively and stimulating activities such as art and crafts, role-plays, singing and dancing, storytelling, and interactive games. The focus is on the children having a positive experience during their introduction to and development of the language. The activities are carried out in the target language. The classes are open to children from Kinder A to Class 6, and cater for all levels. In a multicultural world like ours, learning a language is so important, and learning it at an early age has many benefits. We look forward to your children joining us on their journey of discovering a new language, culture and country.